This adorable Kittredge home offers an open floorplan and spacious rooms with the convenience of one-level living. 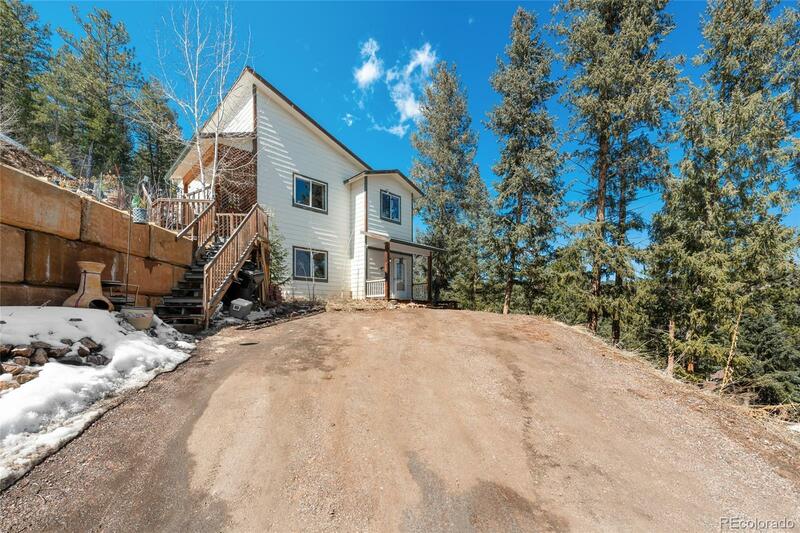 Combining stunning mountain views, a quaint town within walking distance and the privacy of mountain living, this property is also conveniently located approximately 30-minutes from downtown Denver. Or, if you love Evergreen...enjoy all that community has to offer with a quick 6-minute drive! With BRAND NEW CARPET AND PAINT THROUGHOUT, this property is truly move-in ready. In-floor radiant heat warms evenly and inexpensively. The oversized hall closet has roughed-in plumbing to easily add a second bathroom! All appliances, including washer and dryer stay with the home. At this incredible price (and no HOA)....it won't last long! Schedule your private showing today!